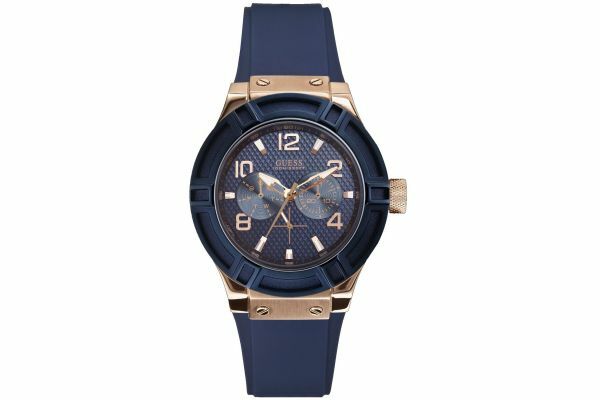 This womens sport Jet Setter watch features a matt blue machined bezel and a honey-comb patterned blue dial. The bezel is set against a polished rose gold steel case that's water resistant to 50 meters. The strap is blue rubber and finished with a blue ion plated buckle. Comes with the Guess 2 year manufacturers warranty. For us to size your new Guess Jet Setter watch as accurately as possible, please take a look at our downloadable Watch Sizing Guide.